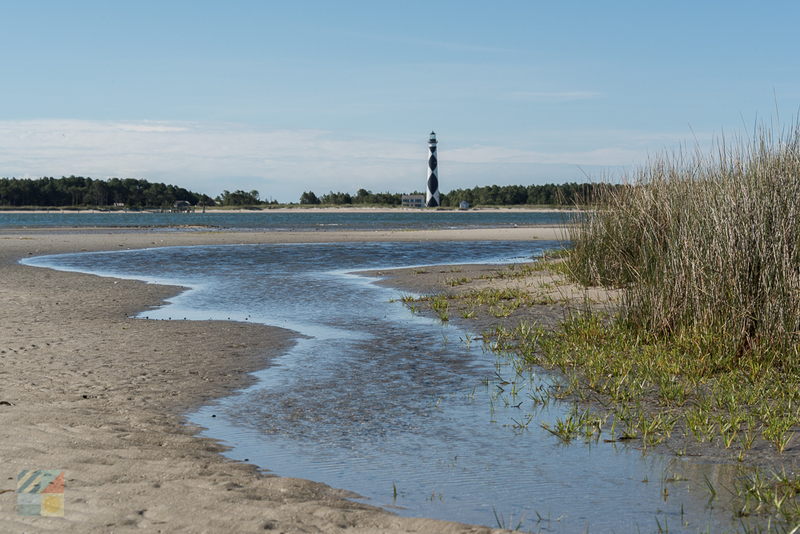 Visitors who want to explore a natural portion of the Cape Lookout National Seashore with little effort will want to check out the Shackleford Banks. 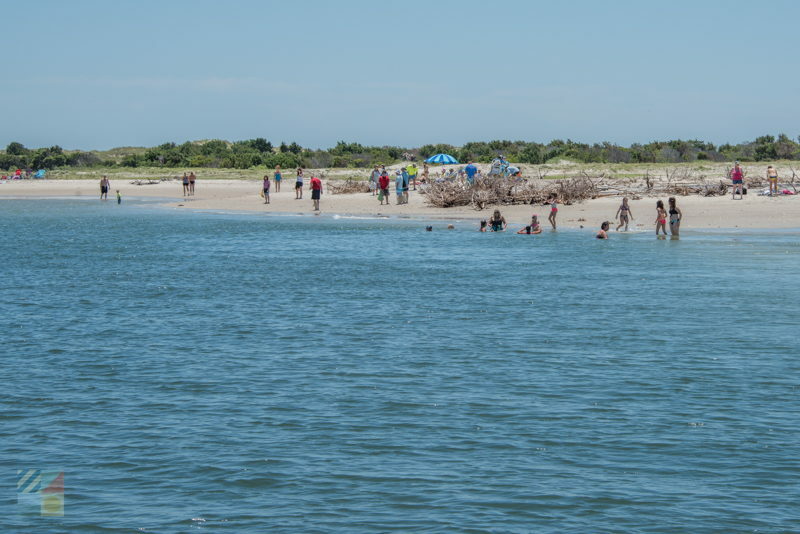 Located just south of Beaufort and Harkers Island, this picturesque and undeveloped barrier island shoreline is a popular destination for visitors who would like to relax, take in the salt air, and enjoy the beach scene. 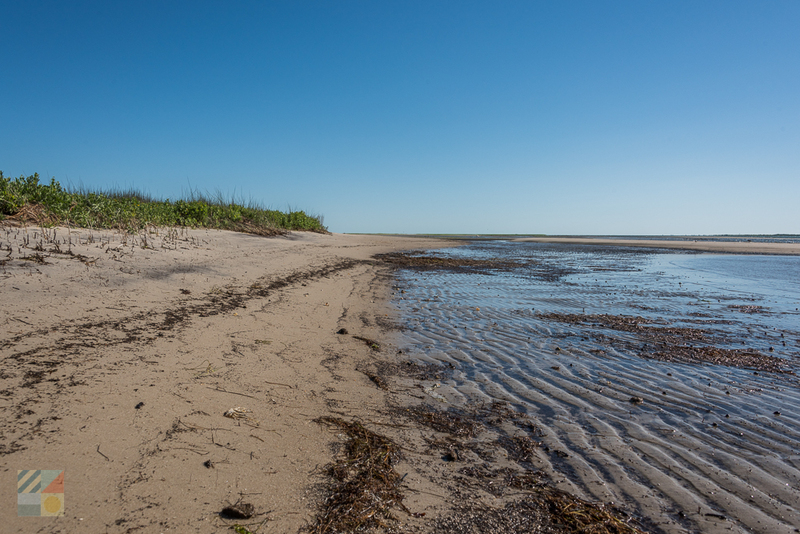 The Shackleford Banks is part of three components of the 56-mile long Cape Lookout National Seashore, and is the southeastern most region of the National Park Service managed site. The primary island is approximately 8.5 miles long and is roughly a mile wide at its widest point, (depending on the tide.) 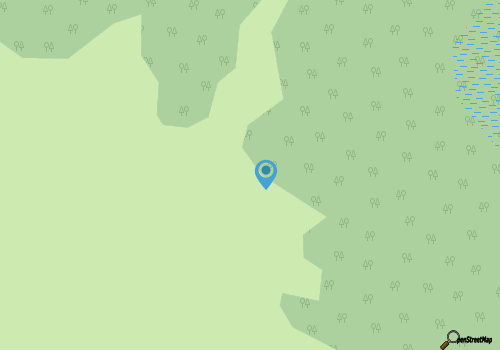 The Shackleford Banks is bordered to the north by the Back Sound, and to the south by the Atlantic Ocean, which means that it’s stocked with miles of shoreline to go around. In addition, its western edge is bordered by Beaufort Inlet, while its eastern end is bordered by the much narrower Barden Inlet, which makes is a popular destination for fishermen. Located just a few miles away at most from both Harkers Island and Beaufort, with a number of ferry services that depart from the heart of Downtown Beaufort, the Shackleford Banks is arguably the easiest barrier island to reach out of the three portions of the Cape Lookout National Seashore. 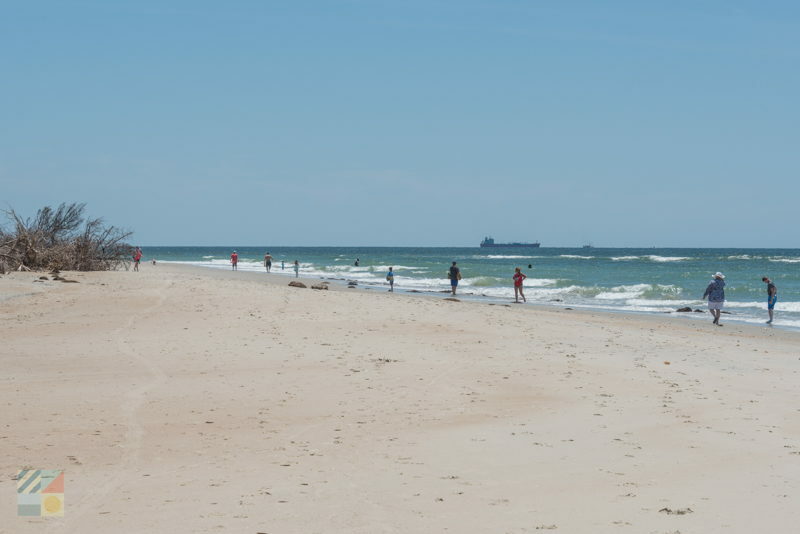 The Shackleford Banks was first acquired by a Virginia planter named John Shackleford in 1713 who was granted several large tracts of coastal NC land, which included the skinny barrier island. After this initial acquisition, the island became known as “Cart Island,” which was probably a nod to Carteret County where the land resides, and the area remained in the Shackleford family until it was sold in 1805. By the late 1800s, the island was home to a small community of permanent residents – a settlement known as “Diamond City” – which, at its largest point, had roughly 500 full-time locals. This island town, however, would not last for long, as an 1899 hurricane persuaded virtually all of the residents to abandon the town, with the last island dwellers leaving by 1902. Another hurricane, the 1933 Outer Banks Hurricane, opened up an inlet on the eastern edge of the Shackleford Banks, separating it once and for all from the Core Banks and the Cape Lookout Lighthouse. 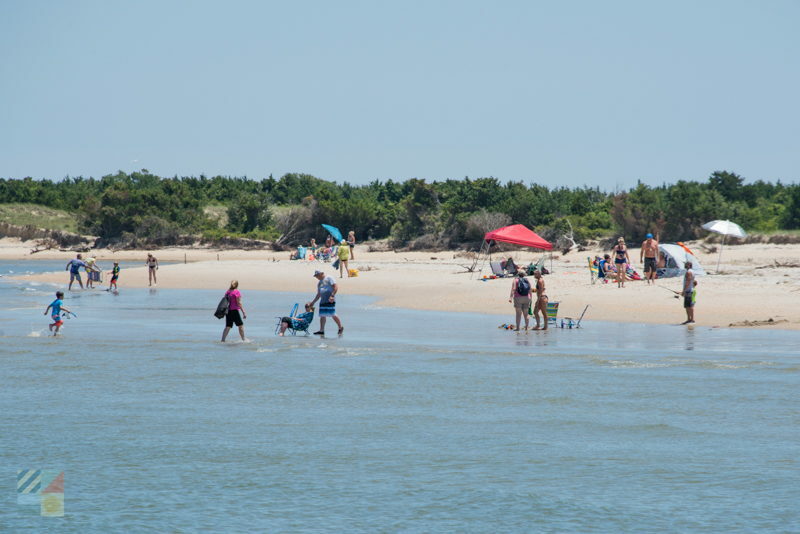 The island was eventually acquired by the National Park Service in the 1960s as part of the newly formed Cape Lookout National Seashore and has been a popular vacation destination – albeit an isolated one – ever since. Although the Shackleford Banks is only accessible by boat, reaching the Shackleford Banks is a fairly easy venture thanks to an array of options which are primarily found in the town of Beaufort. The waterfront docks along Front Street in Downtown Beaufort are home to an array of water taxis, like Island Ferry Service, that provides transportation to and from the Shackleford Banks, especially in the summer season. As a result, it’s often as easy as walking along the waterfront and looking for varying water taxi signs and marquis to get on the water and be en route to the island within minutes. 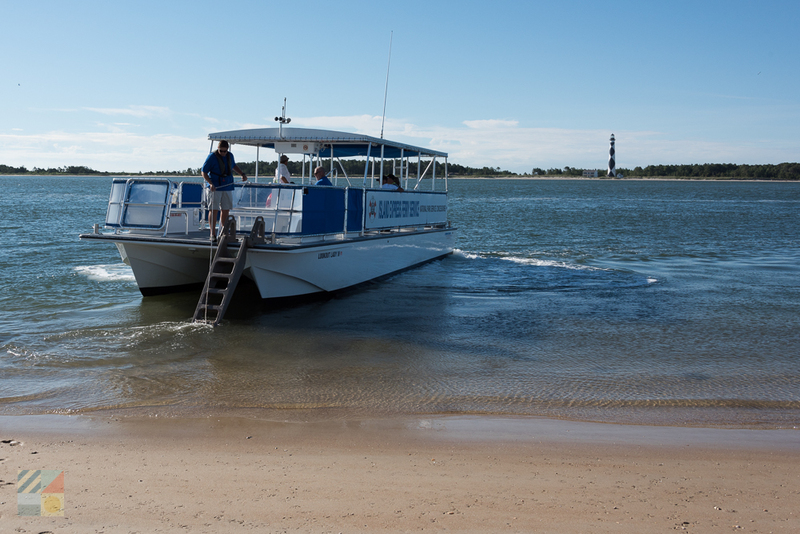 Many water taxis or ferries provide trips to and from the Shackleford Banks in 15-30 minute intervals, making it easy to catch a ride to the beach and back. The trip take 20 minutes at the very most, and is a scenic ride across the Back Sound to reach your destination. Rates vary, but are generally in the $15 per person range, (with reduced rates for kids), for round-trip transport. 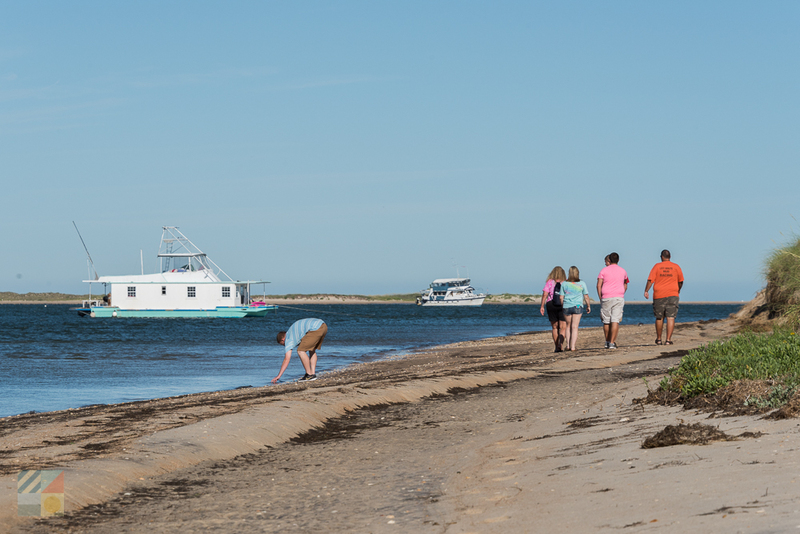 In addition to the water taxis and ferries that provide access to and from the Shackleford Banks, there are also a number of cruises and tours which explore the region in-depth. 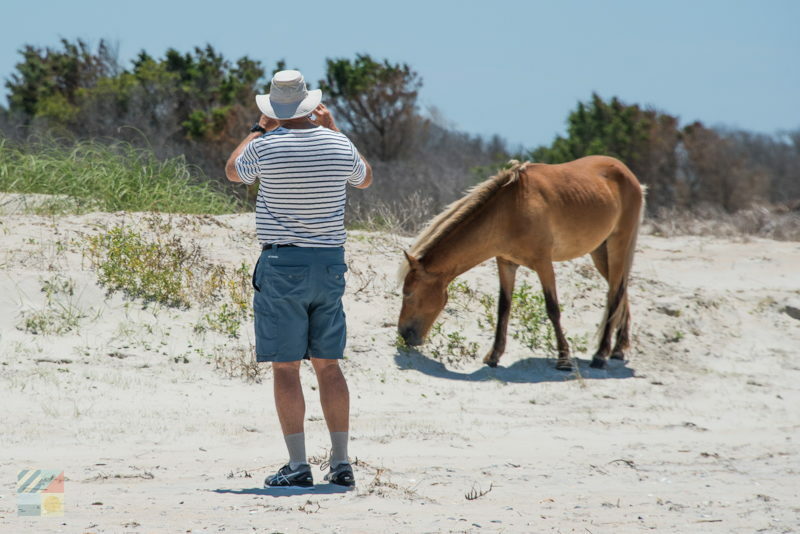 Popular expeditions include horse tours and shelling cruises, which take visitors to the best vantage points to shell hunt or catch a glimpse of the famed banker ponies, both on and off the beach. 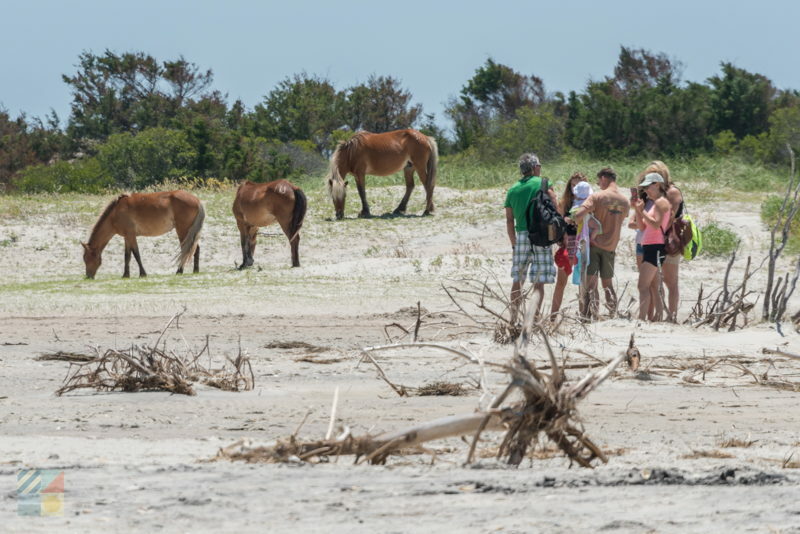 Cruise departure times, availability, and costs can all vary, but visitors can expect to spend roughly 2 hours exploring the area and the outlying waters in search of wild horses, great shells, and / or an abundance of other wildlife. 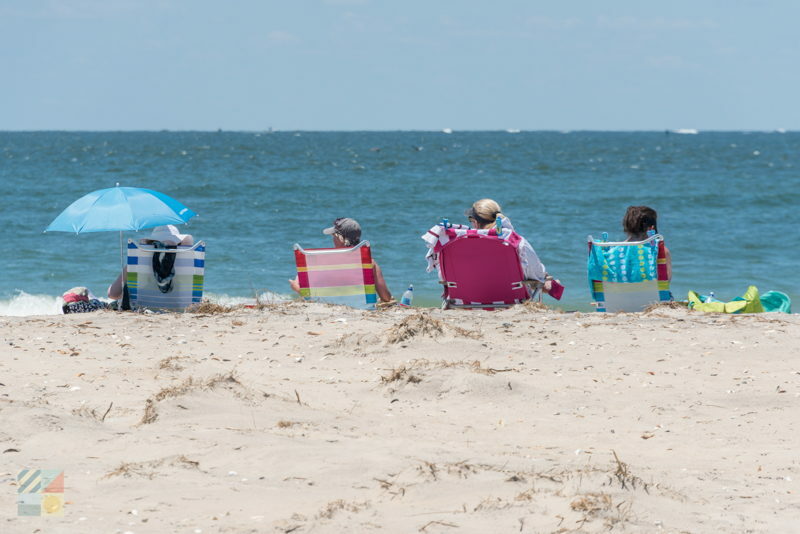 In the summertime, the waters that border the Shackleford Banks are teeming with privately owned skiffs and small vessels that anchor just offshore, and mariners can easily hop off the boat to enjoy a day of sunning on the sand. The Back Sound waters are shallow and calm, and are ideal for anchoring for an afternoon. 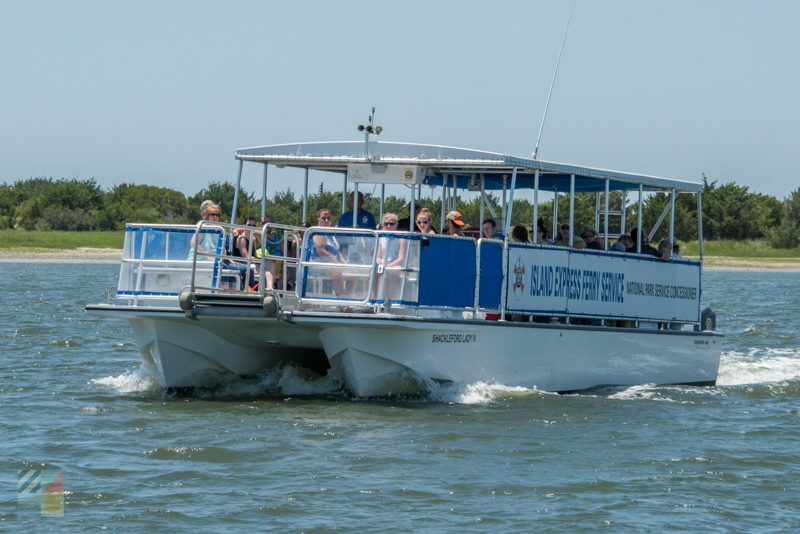 Several boat launches are available throughout the Crystal Coast, (including a convenient one located in the heart of Beaufort along Lennoxville Rd which has 31 parking spaces), and reaching the island from the center of Beaufort is a 20 minute cruise at the very most. Once you’ve arrived on the Shackleford Banks, there are a wealth of sunny beach activities in store. Shelling – the Shackleford Banks are perhaps best known as an exceptional shelling destination, as the undeveloped and pristine beaches are completely unhabituated, with lots of shoreline to go around. In addition, the island is relatively close to the Gulf Stream and Labrador Currents, and is often in the path of passing tropical systems, nor’easters, and other storms that skate past the coastline. As a result, a wide variety of seashells can be found along the beaches, including whelks, Scotch bonnets, olive shells, augers, sand dollars, colorful scallops, and moon snails. Beachcombers will have the best luck close to the inlets, after a high or a low tide. A summer or seasonal storm can also produce some great finds after the storm has departed the area, and the waters have calmed. Fishing – Like shelling, fishing is a very popular pastime on the Shackleford Banks due to the island’s isolation as well as its sound and ocean bordering beaches. Depending on the specific time of year, surf fishermen can expect to target Spanish and king mackerels, croaker, cobia, pompano, spot, trout, sea mullet, and even the occasional shark. Red drum and puppy drum also make seasonal appearances, especially in the spring and fall months when they are making their migratory cruise along the shoreline. Surfing, kayaking, and other watersports – Because the Shackleford Banks borders both the Atlantic Ocean and the Back Sound, visitors can enjoy a wealth of watersports throughout the coastline. The oceanside waves are generally gentle enough for beginner surfers, and are enticing throughout the summer months for swimmers, body boarders, and even skim-boarders. Meanwhile, the sound waters are perfect for kayaking, stand-up paddle boarding, and additional watersports that are at their best when there are miles of clear and calm waters in all directions. Regardless of what sport you want to try, the sheer miles of saltwater will provide a perfect playground for discovering something new. 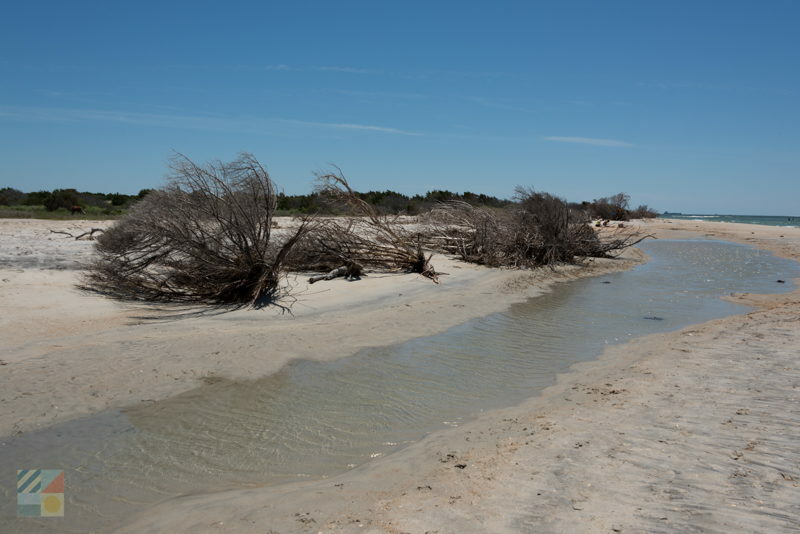 Just use caution – there are no lifeguarded beaches on the isolated Shackleford Banks. 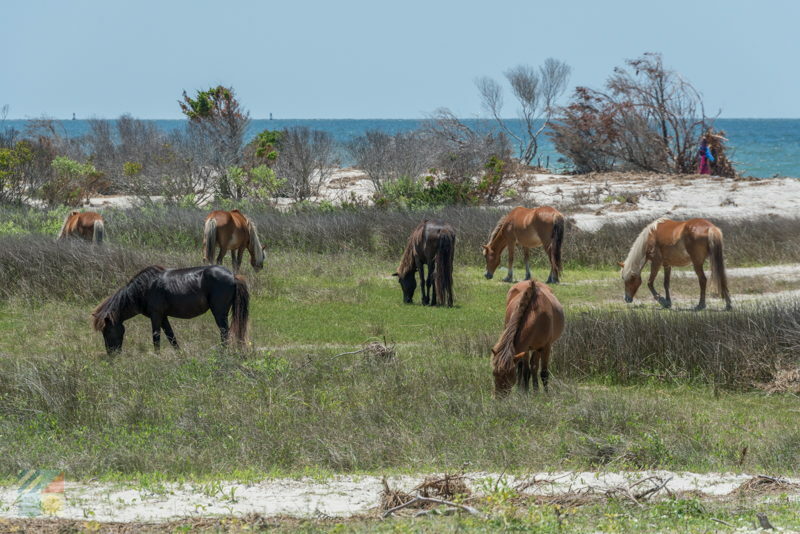 Banker Pony and Wildlife Watching – The Shackleford Banks are famed as an island home to the Cape Lookout National Seashore’s “Banker Ponies” – feral horses whose ancestors are believed to be shipwrecked Spanish Mustangs from the late 1500s. 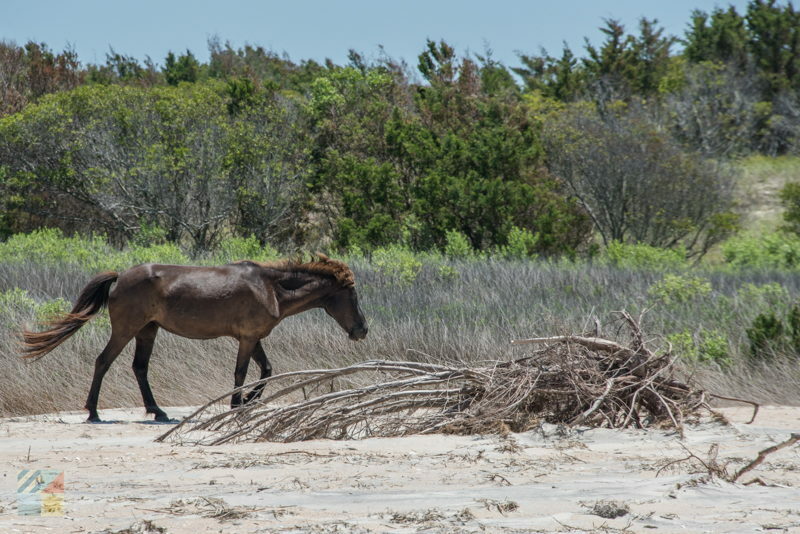 In addition to the feral horses which freely roam the beaches, shrub thickets, and maritime forests, the Shackleford Banks is also home to an assortment of fascinating critters – including ghost crabs, gray foxes, otters, blue crabs, and more – that will allure wildlife lovers of all ages. 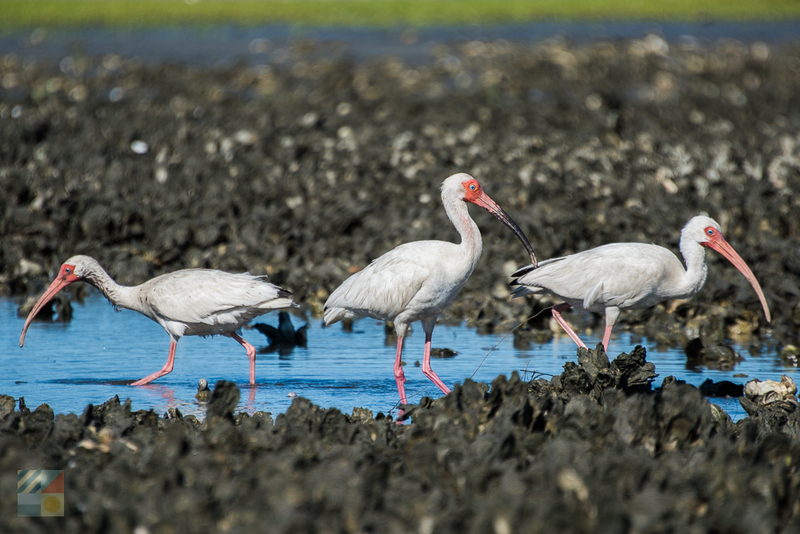 Birdwatching – The Shackleford Banks is the perfect destination to catch a variety of shorebirds, water birds, and even migrating birds in the spring and fall months, thanks to a collection of different habitats, and a completely undeveloped landscape. 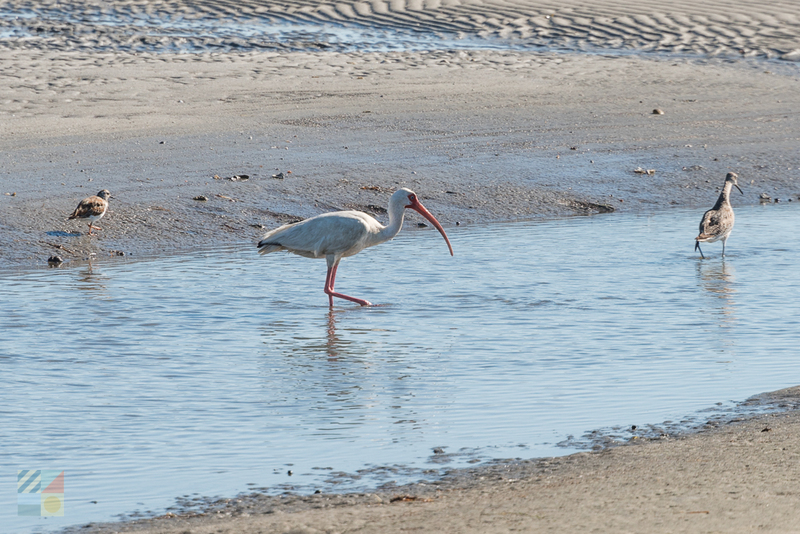 Look for pelicans, plovers, skimmers, terns, and sandpipers close to the ocean, as well as egrets, ibises, and other wading birds in the salty marsh areas found close to the soundside. Bring along all your gear – including water, snacks, and bags for trash. 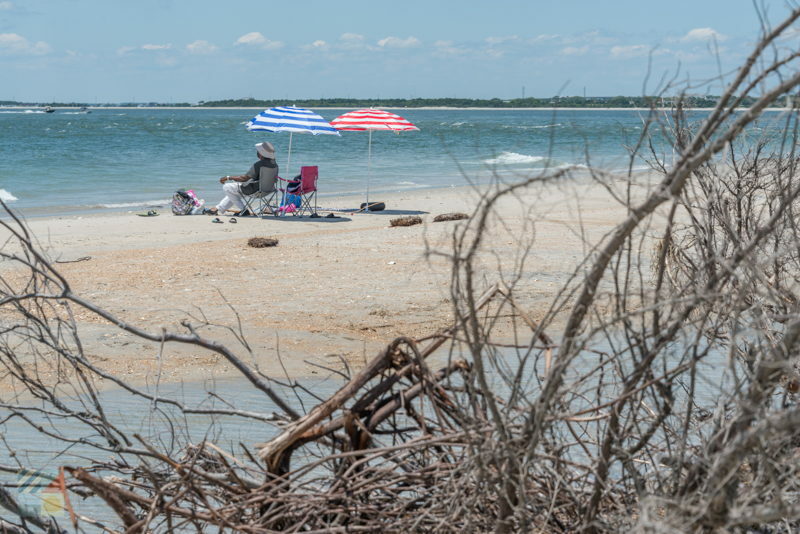 There are no public restrooms or any facilities along the Shackleford Banks, so come prepared to enjoy a desolate island shoreline at its truest definition. If you want to make sure you visit the Shackleford Banks during an upcoming Crystal Coast vacation, reserve a ticket well in advance. Many ferry or water taxis that depart from Beaufort – like Island Ferry Service – allow passengers to book well ahead of time online, ensuring that you have a spot secured to visit the coastline. For the best fishing and shelling conditions, aim for a fall trip. The Shackleford Banks are renowned for great shelling and fishing year-round, but the fall season brings in annual migratory runs of drum and other species, as well as a mess of shells that pile up after a big tropical system or hurricane. In addition, the beaches are generally less crowded, which means there’s more room to explore. Feel free to admire the Banker Ponies, but keep your distance. 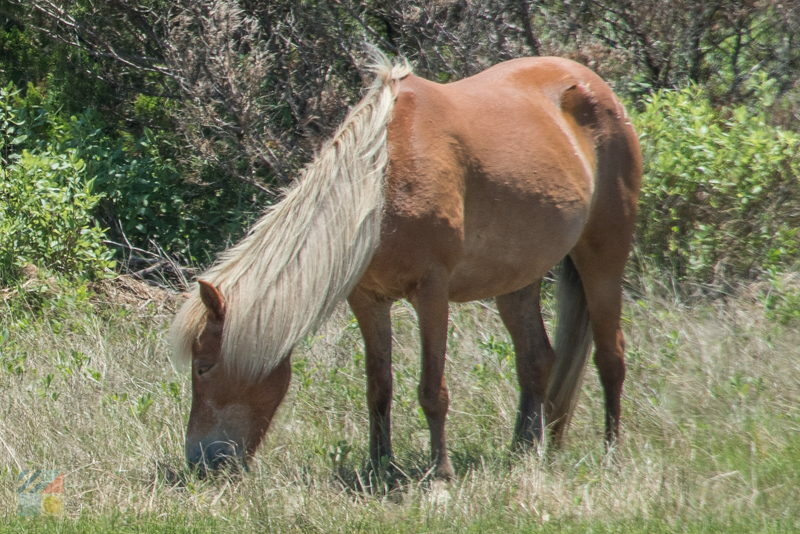 Visitors should maintain a safe distance away from the feral Banker Ponies at all times, (50’ ft. or more), as these mammals are inherently feral and are not used to human interaction. The Shackleford Banks are part of the Cape Lookout National Seashore, and as such, all National Park Service rules apply. In short, visitors shouldn’t litter, should keep pets on a leash at all times, and respect the local wildlife. Beach driving is not allowed on the Shackleford Banks, but it is permitted on the other portions of the National Seashore – the North Core Banks and the South Core Banks. The Shackleford Banks are a must-see destination for any visitor who wants an introspective look at a deserted barrier island landscape. 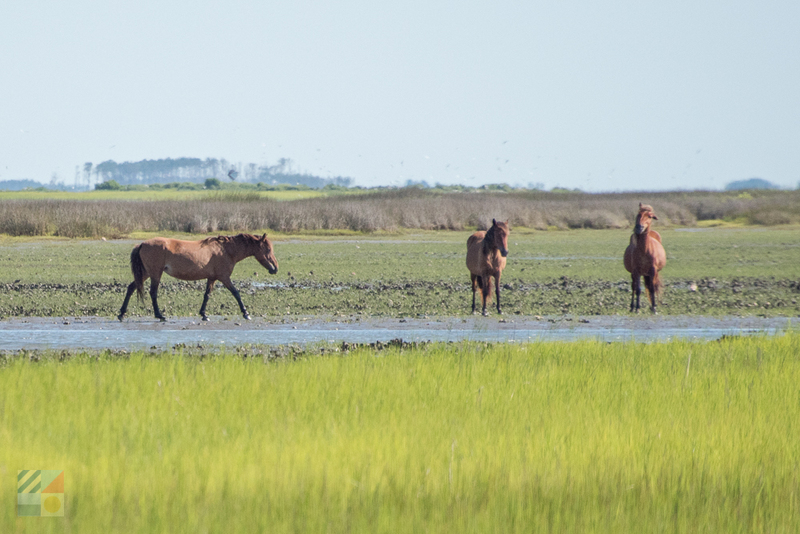 Teeming with exceptional shelling, fishing, and an abundance of wildlife, a Shackleford Banks exploration is easily within reach for visitors in Beaufort, and throughout the Crystal Coast.